Any country in the world that has a national identity, respect for its citizens , either young or old, rich or pore, feels the need of unveiling and preserving their past and history. 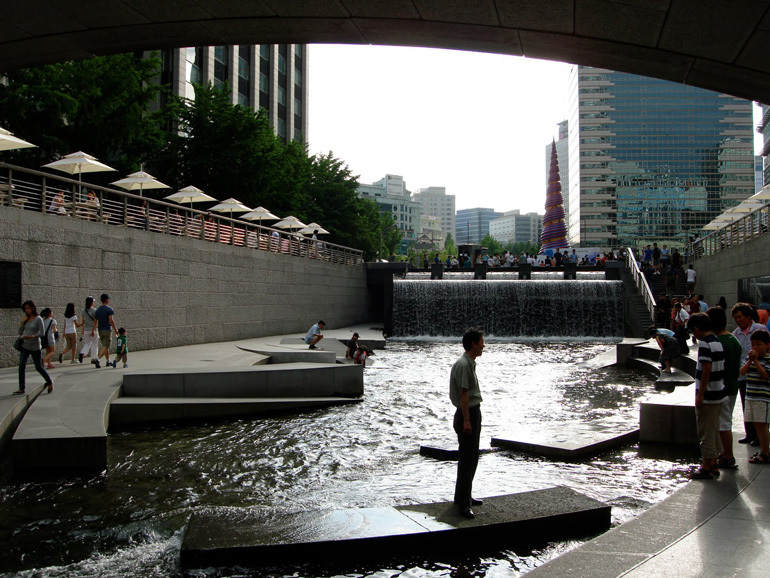 And so it is what South Korea did in the country’s capital , Seoul.Along the water courses that passed through the city of Seoul was the Cheonggyecheon Stream that was running through the city from east to west . 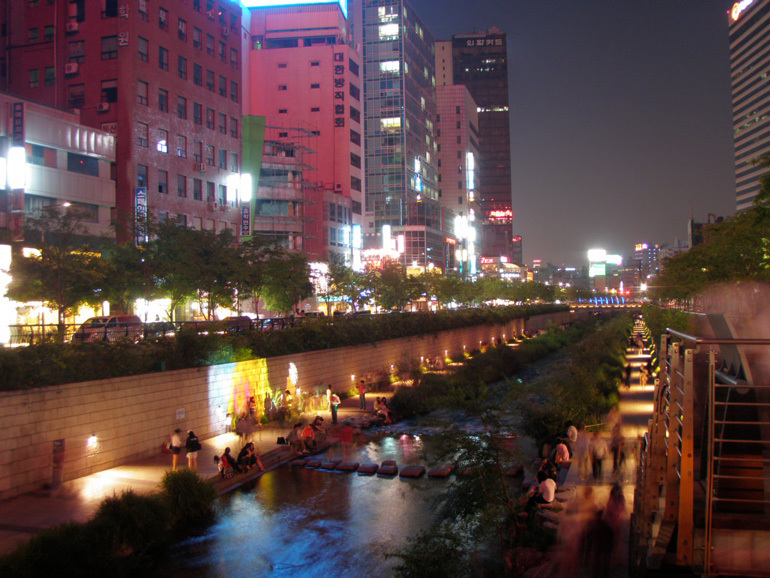 The stream has a very interesting story that can be dated 600 years back when the founder of the Joseon Dynasty, King Taejo, decided to move the capital Hanyang (Seoul) in 1394. The stream remained dry in fall and spring but was mostly overflowed every time there was heavy rain during summer and was very polluted due to lack of flow. 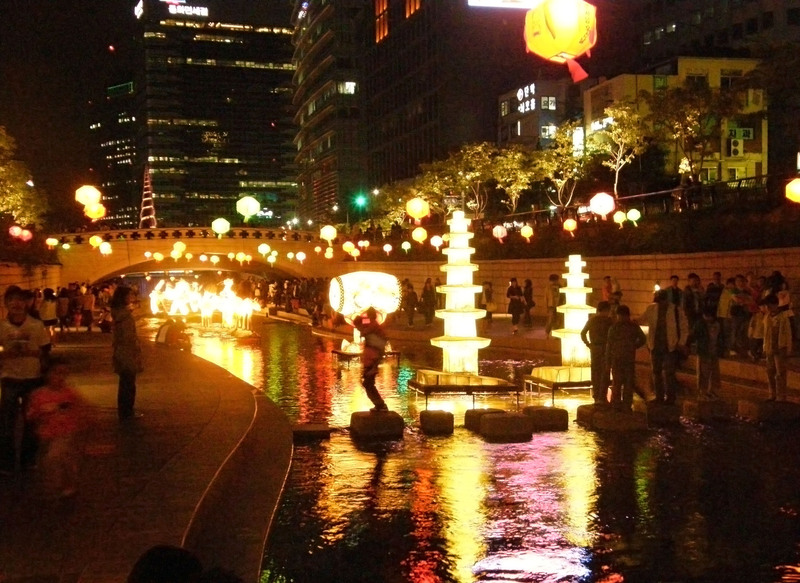 During the Joseon Dynasty a great importance was given to the drainage and bolstering of the banks of the stream. In 1441 a water column was built to measure the water level and in 1760, more than 200000 people were mobilized to widen the stream and build stone embankments on both sides of the banks. 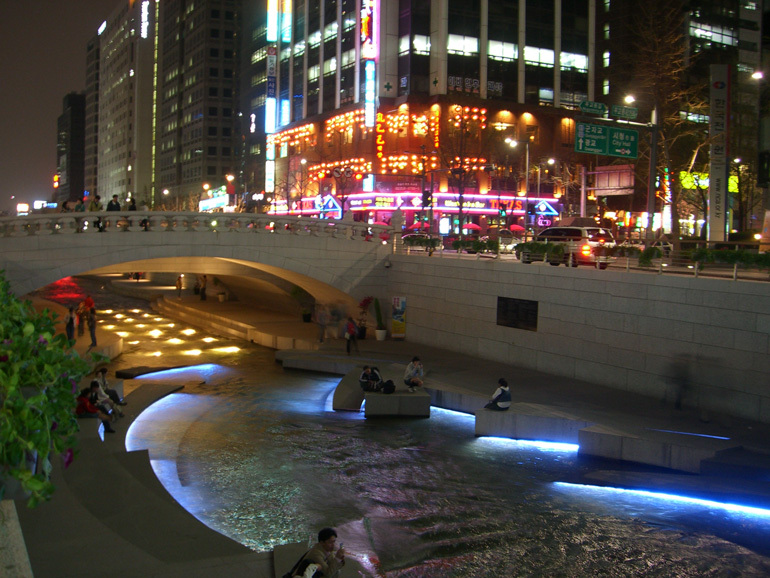 Records indicate that more than 86 bridges were built over the stream during the Joseon Dynasty, among them Gwanggyo and Supyogyo still exist today. Things started to change with the Japanese colonial invasion in 1592 and the Manchu War in 1636. 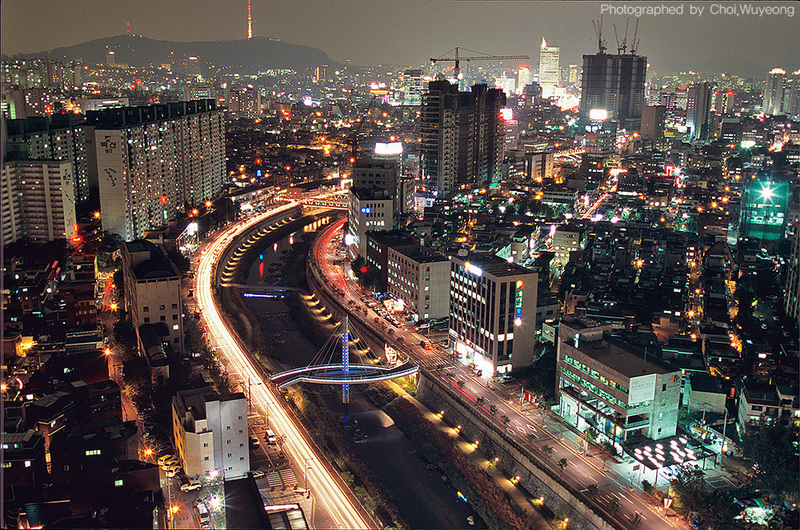 Deprived from their farmlands, people started swarming to Seoul, the population increseasing in ten years from 80000 to 190000, leading to the increase of wastewaters, infectious diseases and crime. 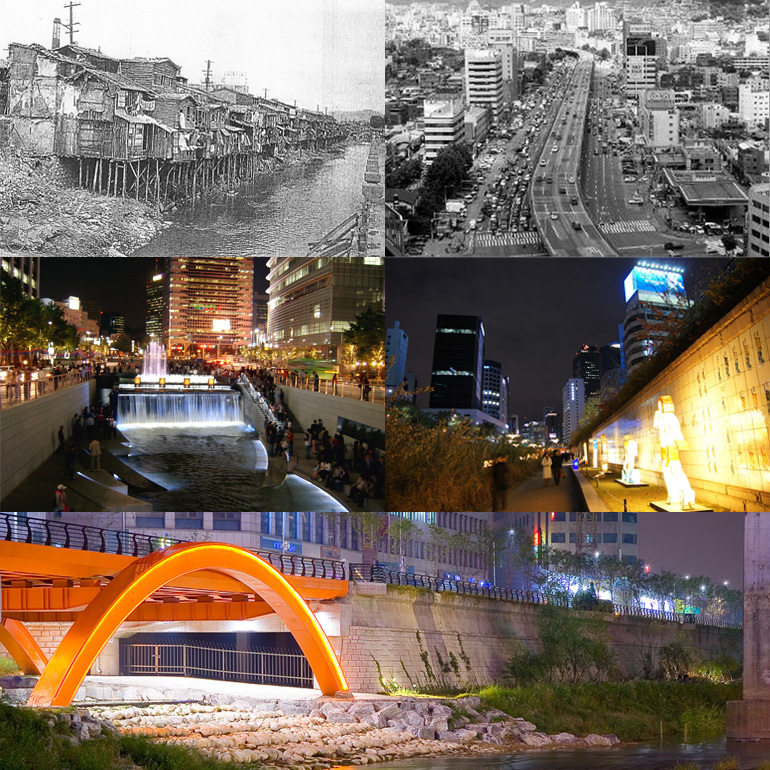 The leadership had to take measures and this led to the first covering of the river from Taepyeongno to Gwangtonggyo from 1937-1942, and between 1967- 1976 a 5.6 km-long elevated highway was completed over the stream. 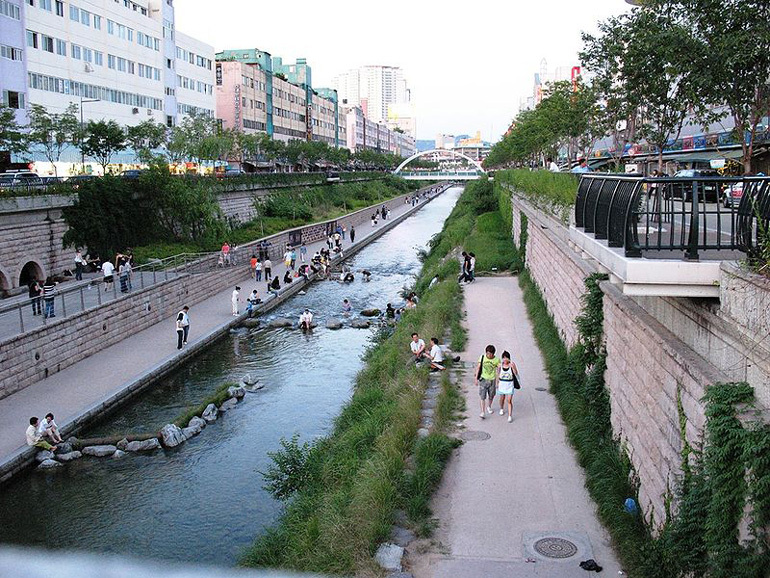 Between 1958 and 1978 the Cheonggye Road was build over the stream completely covering it. Millions of cars and people visiting the nearby stores crossed the area daily, transforming it into the busiest and noisiest in Seoul. 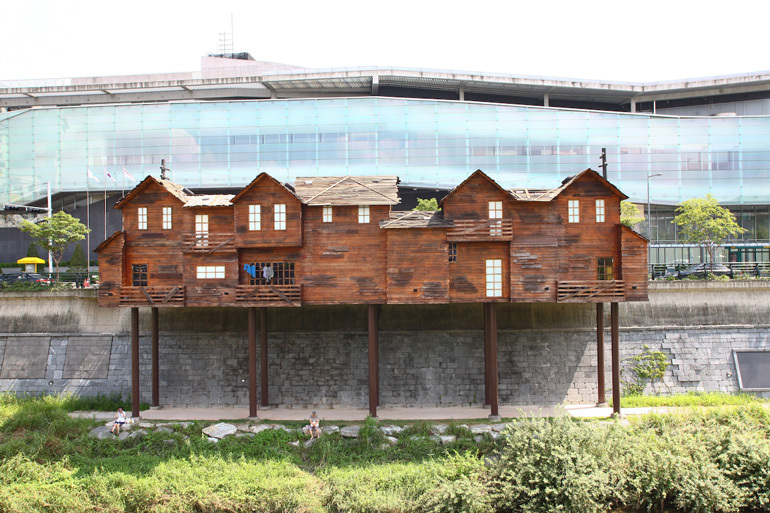 It became a symbol of poverty, a source of health and environmental issues and was filled with trash and wastes. 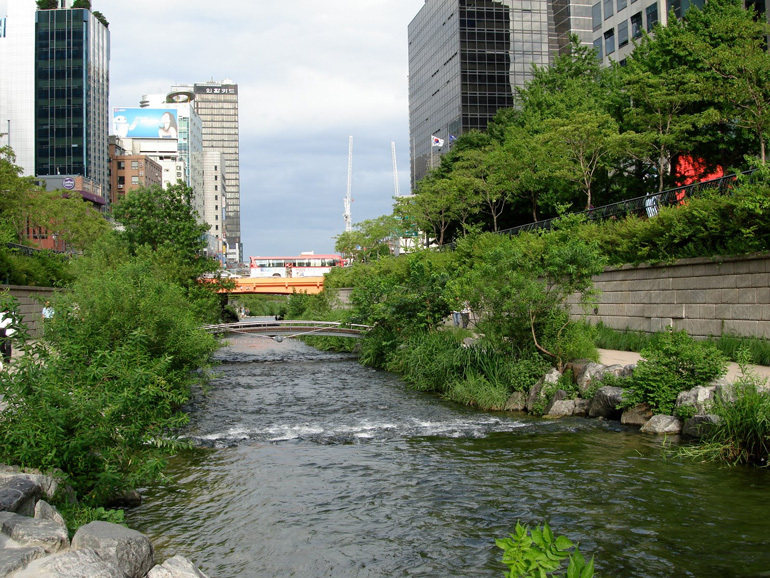 But all this was about to change in 2003 when the mayor of Seoul (now president of South korea), Lee Myung-bak, had started the project of restoring the stream beneath the concrete. The restauration of the stream lasted for two years with a budged of more than 700 million euros. The suspended highway was dismantled, nearby shops abolished and the concrete was removed. Every ancient stone that reminded of the past was photographed, gently removed an skethes of it were made before placing it back after the stream was cleaned up. Existing ancient bridges were also restored. 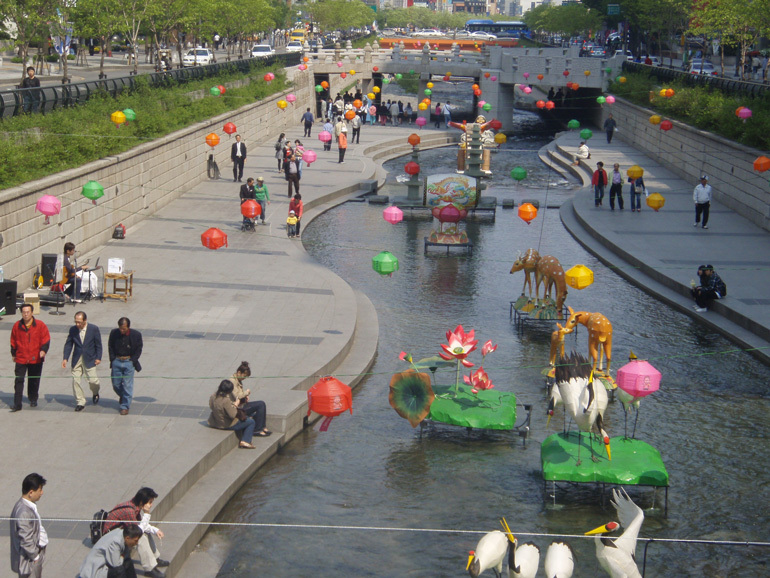 And to make it even better the general public of Seoul was invited to participate directly to the project by sending ideas for the new bridges to be build. The most interesting ideas were than redesigned and turned to reality. 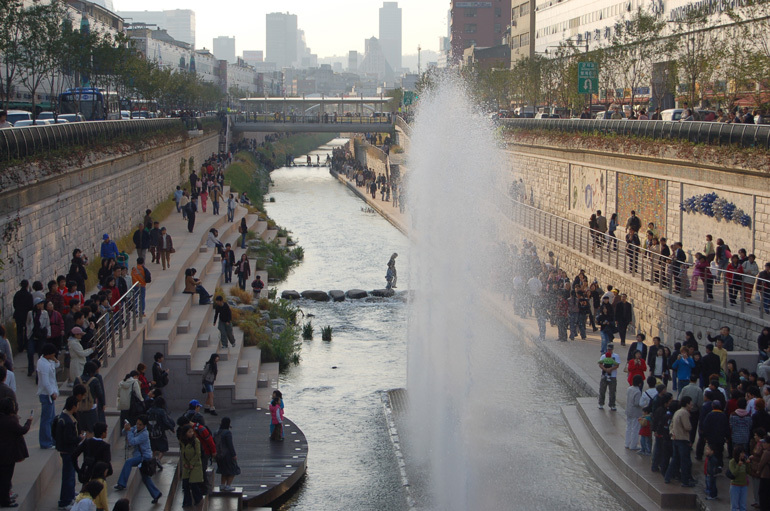 The urban waterway became one of the greatest examples of revitalizasion projects worldwide, bringing nature, leisure and recreational spots in the heart of the city and becoming the heart of the city itself. 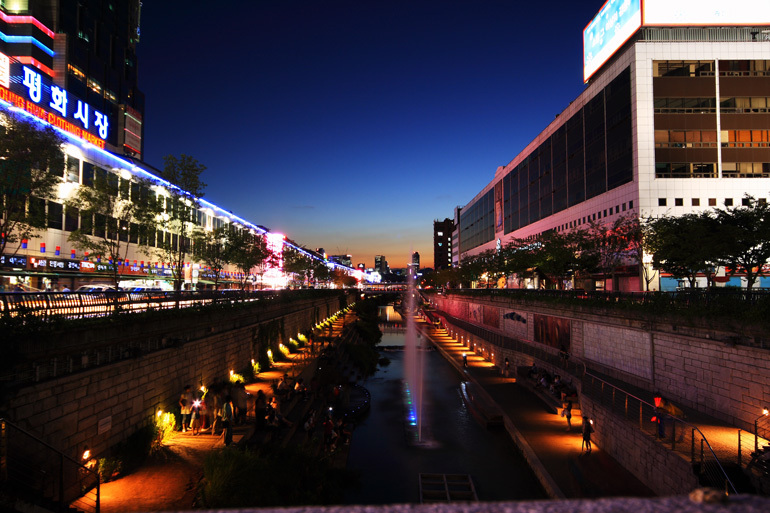 It became a landmark for Seoul’s people and tourist , an economical and environmental success, an example to take notice of.